Proud growers and producers of fine award-winning estate wines, Wilson Creek is home of the famed Almond Sparkling Wine (formerly known as Almond Champange). Wilson Creek Winery is a family-owned winery in the heart of Temecula Valley Wine Country known for its quality wines and warm hospitality. The winery features a welcoming tasting room, full-service restaurant with expansive patio, creekside picnic area, indoor and outdoor conference and event spaces, romantic wedding venue and exclusive retreat accommodations. The Wilson family has built an extended-family community around the sharing of wine, food and hospitality, turning visitors into friends and wine lovers into ambassadors for the brand. For Information about the winery, vineyards, events and how to become part of the Wilson’s extended wine community click here. This gold-medal winning sparkling wine is also referred to as the "OH MY GOSH"® sparkling wine. Naturally fermented, with pure almond flavor added. Persistent small bubbles form a light mousse on top of the wine in the glass. The Almond is very clean, unique sparkling wine that is appreciated by Champagne lovers. Yet, those who do not normally like Champange find the Almond Sparkling accessible and enjoyable. Cuisine Pairing Suggestions: Pairs well with mild creamy cheeses such as Brie and apricot stilton cheese. Serve with light chicken, pork or seafood dishes. Great with desserts such as cheesecake, fruit tarts, and truffles. Goes wonderfully with brunch foods such as fresh fruit, crepes, and Souffles. 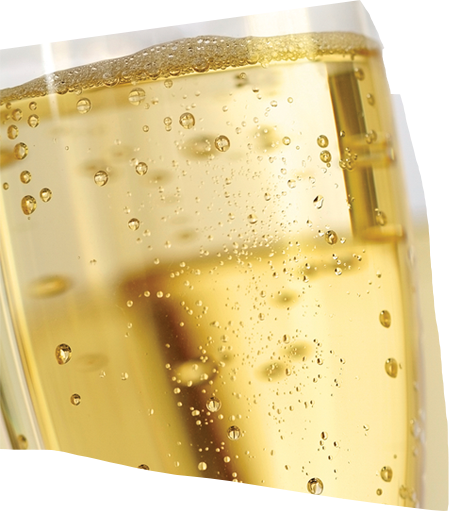 Classic sparkling wine that is crisp, light, refreshing, smooth and delightful. Balanced and elegant with small bubbles that are slow and steady. Aromas of sweet peach and a hint of vanilla with smooth fruit character which continues into the fresh flavor. Naturally fermented. Cuisine Pairing Suggestions: A dynamic stand-alone sparkling wine yet pairs well with spicy Chinese food, roast chicken or pork chops. Serve with various brunch & lunch favorites. A sparkling citrus delight that captures the essence of the popular cocktail. Abundant fine bubbles form a nice mousse in the glass. Balanced and elegant with aromas of citrus and almonds. The bouquet is full of mandarin orange, tangerine and sweet marzipan. The wine has sweet, lush orange flavors with the right balance of acidity. Persistent orange carries through the finish. Cuisine Pairing Suggestions: Pairs well with crusted seafood with basil, garlic and oranges, duck confit or roast duck, beef ribs or short ribs with orange-chiipotle BBQ sauce. Serve with chocolate ganache or white chocolate. Crisp, elegant, and flavorful. Naturally fermented. A great sparkling wine at an amazing price for the beautiful quality. Cuisine Pairing Suggestions: A dynamic stand-alone sparkling wine but goes well with desserts such as cheesecake, fruit tarts, and truffles. The sparkling Sangria has a lush purple-violet fushsia color. Persistent small bubbles form a light mousse on top of the wine in the glass. In the nose the Sangria has both spice and exotic fruit. Designed for a broad range of palates, the Sangria features a taste medley straight from the Southern Mediterranean with a fresh nose of lemon, line and orange zest, and a smooth finish of ripe red berries, cranberry, pomegranate and a hint of blood orange. The sweetness is finely balanced with the wine's acidity. Lingering in the finish are sweet berries, citrus and spice. Sparkling Sangria is fermented naturally and leans toward the brut style of sparkling wine. Cuisine Pairing Suggestions: Soft or pungent cheeses such a pepper jack are a good match with this beverage. Pairs well with spicy food, tapas, calamari, fried shrimp and picy meatballs. Crisp, elegant and flavorful Naturally fermented. The Sparkling rose is a refreshing sparkling wine bursting with aromas and flavors reminiscent of strawberries and melons. This wine opens with a burst of bubbles which slows to a stream of fine bubbles. The sparkling Rose is clean and refreshing with balanced acidity and a rich mouth feel. Cuisine Pairing Suggestions: A dynamic stand-alone sparkling wine but goes great with desserts such as cheesecake, fruit tarts, truffles. A great picnic wine but this wine is much more! Try it with spicy Asian dishes. The sparkling Coconut has a beautiful hint of coconut when poured into the glass. Natural coconut flavors are infused into our Grand Cuvee blend to bring out a distinctly clean Tropical Coconut experience. Cuisine Pairing Suggestions: A great sparkling wine perfect for the beach or anytime you want that tropical Pacific feeling. The Wilson Creek Sparkling Vanilla is a refreshing sparkling wine bursting with aromas and flavors of reminiscent of "Tahitian Vanilla". This wine opend with a burst of bubbles which slows to a stream of fine bubbles. The sparkling Vanilla is clean and refreshing with balanced acidity.